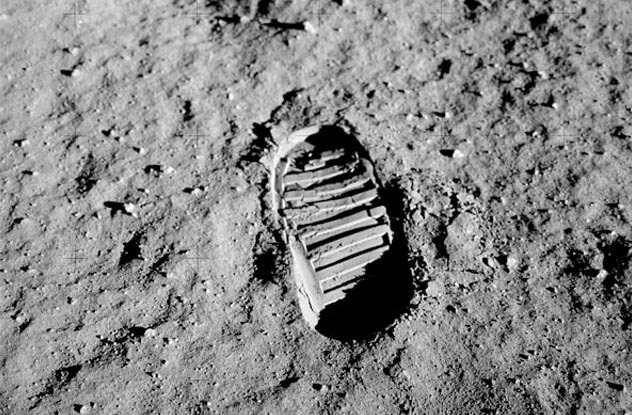 When the footprint of a human being was left, for the first time ever, on the surface of a body other than earth, it not just fulfilled JFK’s promise to put a man on the moon and gave USA a competitive edge in the race of space technology. Its significance transcended nationalism, race and ideology and made the entire human race, for a brief moment, cheer for this magnificent achievement together. There are a few reasons that I like this photograph. First, when we look back to our history, the differences of our cultures, ideologies and the levels of economical development often foster misunderstanding and distrust. We tend to focus on the differences with our “foes” rather than our similarities. More often than not we let our hatred get its way and overlook the fact that we are all humans and we want pretty much the same things: happy and purposeful lives, a good environment to prosper and an even better one for our kids. Although this picture is the by-product of an ideology struggle, it has the power to make people, disregard of their differences, be proud of their identity as human beings. Second, this picture underlines the importance of science and technology as the fundamental force behind our history. It made Great Britain an empire without sunset in 19th century and USA the best country on earth right now. The repercussion of the technological advances in 1960s can still be felt today. Finally, this picture was taken by the brilliant Hasselblad camera, which is proudly made in Gothenburg, the city where I live at the moment.